Piracetam is a nootropic compound. As the “parent molecule” of the racetam family, Piracetam was first synthesized in 1964. All other racetams, including Aniracetam, Phenylpiracetam, and others, are modified from this original compound, which gives them varying effects and benefits. Piracetam offers a milder effect than other racetams, but users that buy Piracetam report a cognitive boost with this popular nootropic. Scientific research has shown that the best single dose to improve cognition for adults is 4800mg, which should be taken twice a day as needed. There are still positive effects with smaller doses however. A dose of 1200mg split into three doses per day has been shown to improve cognition after 14 days. Keep in mind that everyone responds differently and you should start out small and increase the dosage as needed. Also keep in mind that it could take a few weeks of regular supplementation to achieve peak performance. Memory – Piracetam doesn’t exactly make you smarter, but it can improve your memory. Especially if you were to combine it with a choline supplement. To put the effects of Piracetam simply it makes it easier for the left and ride sides of your brain to communicate. It does this by improving blood flow between the hemispheres. So the logical half of your brain will communicate more with the imaginative half and increase memory. You’ll feel your thoughts become more fluid and you’ll be amazed at how the ideas just seem to flow. These nootropics put your thoughts on a whole new level. Medical Benefits – Studies have shown how effective Piracetam is at treating conditions that can affect your brain including alcoholism and Alzheimer’s disease. Piracetam has also been shown to help children suffering from dyslexia. While there are clinical uses to Piracetam it can still be used and enjoyed by even healthy individuals. Actually a little bit of research will show you that Piracetam is still the most commonly used nootropic on the market and that it has truly stood the test of time. Mental Performance – The piracetam supplement is mostly known for being a cognition booster. 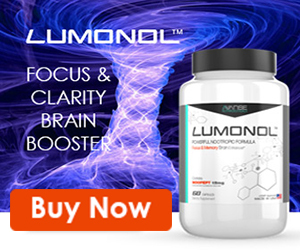 It might be considered to have less potent effects than the descendants but it is still a popular choice for people looking for a good all-round nootropic supplement. Many people continue to use piracetam to improve their mental performance. Piracetam is one of those supplements that works well by itself, but can be stacked. If you were to stack Piracetam we recommend using a choline supplement with it. This is because of the way that choline supplements acetylcholine. When taking Piracetam you will be using up more acetylcholine because your brain is communicating more. So if you don’t supplement with additional choline you could run out of acetylcholine which leaves you feeling mental fog and suffering from headaches. So taking Piracetam and choline together will reduce these negative side effects and increases the effectiveness of Piracetam. There are many different choline supplements on the market but our personal recommendation is Alpha GPC. You need to be taking one part choline for 8 parts of piracetam. A basic stack plan to follow is combining 300mg of Alpha GPC with 4800mg of Piracetam. Nootropics Club have researched trusted stores online and can give you the advice you need. Nootropics Depot and Modafinil Star are stores we trust and can recommend to you with excellent ratings and reviews. You will be able to find Piracetam supplements here at a good price. Happy Shopping! At Modafinil Star use code ‘NOOTROCLUB’ to get a 20% discount.